Fineliner in ergonomic triangular shape for relaxed and easy writing, superfine metal-clad tip. Water-based ink, Stand-up box, Line width approx. 1.0 mm and Washes easily out of most textiles. Dry Safe - if pen is left with the cap off the ink will not dry. 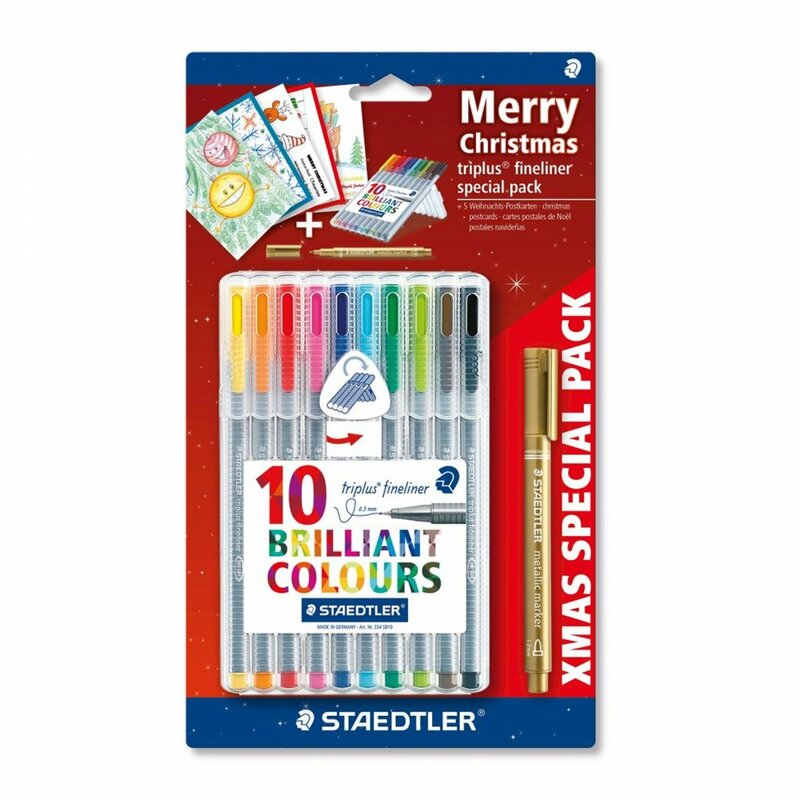 Perfect to hold and great to colour with, ideal to get into the corners of your picture.